The academy hosts the 105th Manchester St Peters Scout Group. 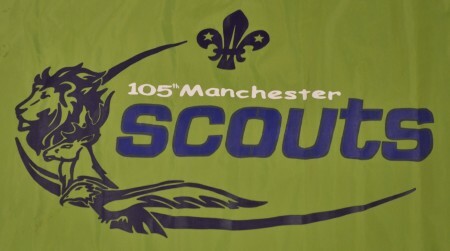 Visit their pages on the North Manchester Scout District website – for Beavers (ages 6-8), Cubs (ages 8-10) and Scouts (ages 10-14) and for Explorers (ages 14-18). The group runs a wide assortment of activities, but is especially successful at Pedal Car Racing and has won a number of trophies. Beavers, Scouts and Explorers meet in the academy Sports Hall. The Cub section meets at nearby St Paul’s Church. Beavers meet on Thursdays between 6.30pm and 7.30pm. Scouts meet on Fridays between 7.30pm and 9.00pm. Explorers meet on Thursdays beween 7.45pm and 9.00pm. Tel: 07970 885 394 or email gary.hollingsworth@btinternet.com for more details.